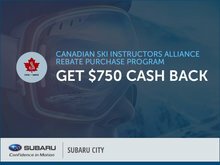 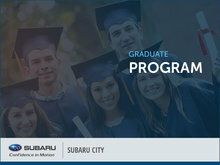 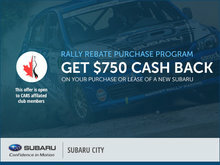 At Subaru City in Edmonton, we're always working hard to bring you savings! 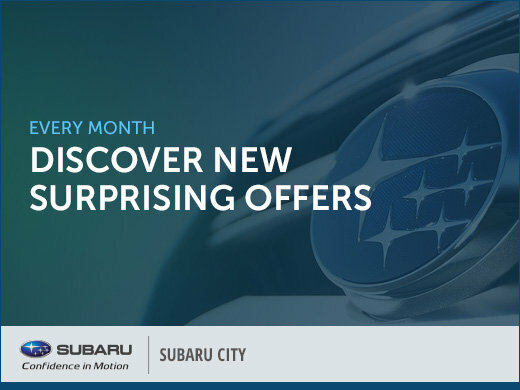 Be sure to check out our Special Offers page often, because each month we update our offers with various sales and promotions that can help you save big when it comes to parts, services, and new or used vehicles! 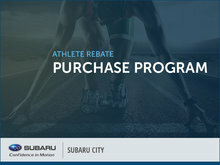 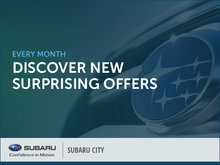 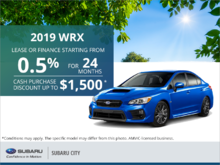 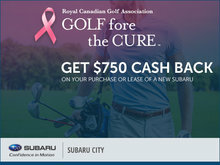 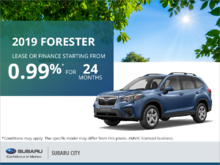 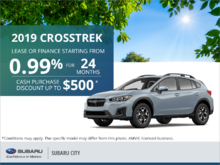 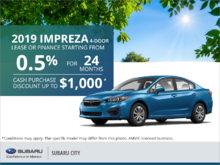 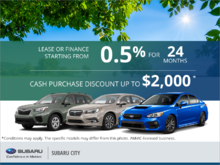 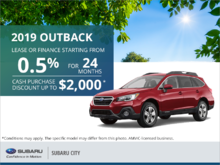 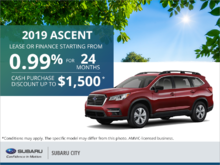 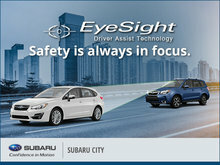 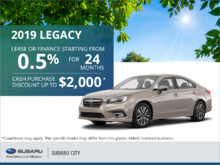 For more information about this or any other deal, feel free to contact us at Subaru City by phone, or online!